So, my first book, ‘How To Catch A (Rock) Star’ is out now, which is both incredibly exciting and really, really scary. I so badly wanted to be a published author, but now that it’s happened, I realised that putting yourself out there is quite a terrifying experience. I suppose I can relate to my main character, Lillie, a little bit more now! Suzy has asked me to write about the inspiration for the book, so here goes! ‘How To Catch A (Rock) Star’ started out as a completely different story to the one it ended up being. Originally, it was going to be a story about a group of friends and the dynamics of those all important female relationships. I wanted to explore what happens when one friend amongst a group of close friends becomes envious of another friend and how that impacts on the entire group. I have my own close group of friends and I wondered what would happen if one of them turned on another one. What would the other friends do? How would everyone react? What could be the catalyst for that sort of behaviour? So it started out as a group of twenty-something friends going on a night out and one of them becoming extremely jealous when one of the girls gets chatted up by a really hot guy. The really hot guy turned out to be Jed and once I wrote him in, he refused to leave the story and suddenly I was writing a chapter from his point of view. In ‘How To Catch A (Rock) Star’, I wanted to explore why someone would keep a secret and the fallout that happens when that secret explodes. Even though Lillie’s been horribly betrayed, she’s still a pretty open book compared to Jed who, although comfortable with expressing his feelings for her, holds back on his past so much that all sorts of scenarios run through Lillie’s head as she tries to figure out exactly why he’s so cagey about his life. I made Lillie a singer for two reasons: the first was that I wanted to live out my lifelong wish that I could sing through her (I’m horribly tone deaf although that obviously doesn’t stop me from singing very loudly in the shower or my car!) and the second being that it would give her a good reason to go on tour as an additional singer with the band and give her and Jed a chance to be together. The added bonus of her going on tour was that she and Jed would be thrown together, 24-7, with the rest of the band and that intense and claustrophobic way of living would add tension to their relationship. Throw in some stage fright, a surly guitarist and a fair amount of partying and there’s some serious drama to write about! I enjoyed writing the characters from ‘How To Catch A (Rock) Star’ so much (and quite honestly, they just will not leave me alone! ), that I’m currently writing a follow-on novel which will star Johnny and I plan on writing a third which will be all about Lillie’s best friend, Kate. So, if you read and like ‘How To Catch A (Rock) Star’, then keep an eye out for the next two books! 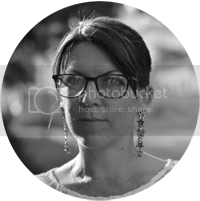 Thanks for having me on your wonderful blog, Fiction Dreams! 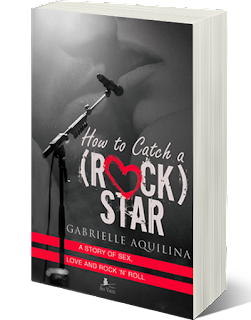 ‘How To Catch A (Rock) Star’ is available on kindle here and in paperback here. You can follow me on Twitter and Facebook and check out my website here!